This luxury 3 bedroom, 2 bath villa is better than new. Recently tastefully remodeled by by the current long term owner. 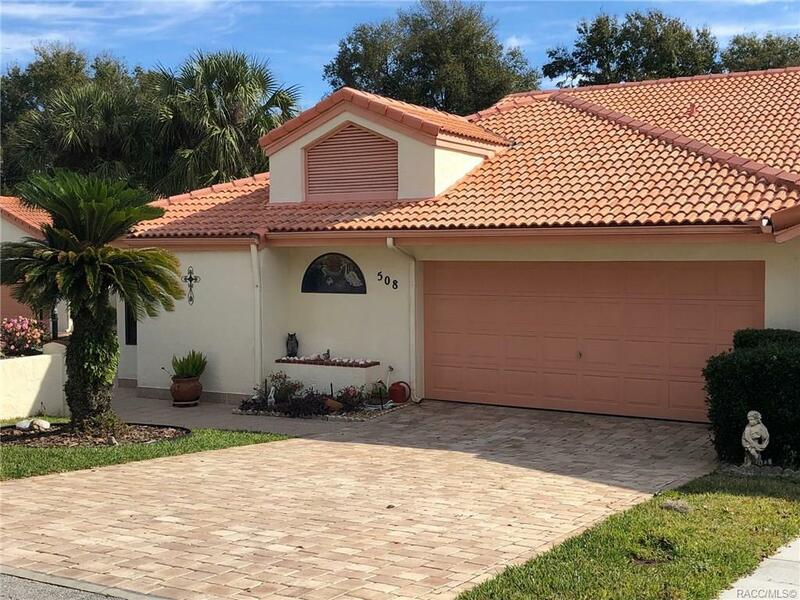 Don't buy anything else until you see this spacious home complete with an inground pool and spa plus a two car garage Upgraded kitchen with quartz counter tops, new appliances and beautiful wood cabinets. You have to see the completely remodeled master bath that was taken down to the studs. Exquisite with the shower in place that you've always wanted. Inside utility room too. This reduced maintenance villa even has a private "back yard." The landings is located on the south shore of Little Lake Henderson - arguably the nicest lake in the Tsala Apopka chain of lakes. This villa has its own private boat slip. Located easy walking distance to the famed "Rails to Trails" recreational path, parks, public boat ramp and historic down town Inverness and Valerie theater.